Next Messy Church April 19th April Messy Church We will be talking about the Easter Story and how Jesus rose from the dead and ‘began again’. Lots of craft activities, making Easter cards, bracelets, badges and an Easter garden with moss, flowers etc. 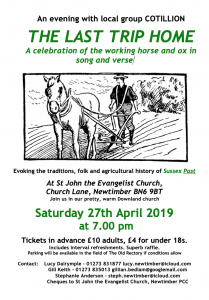 Copyright © 2019 The Downland Benefice.